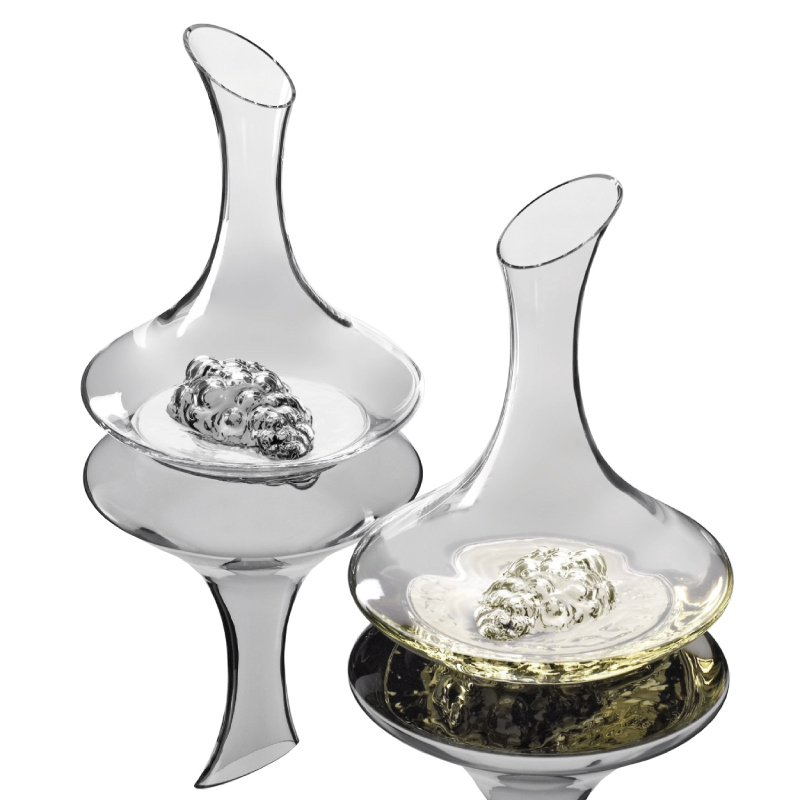 The essence of any fine wine shows in the ingenuity and care the Viticulturist has taken in cultivating his grapes. 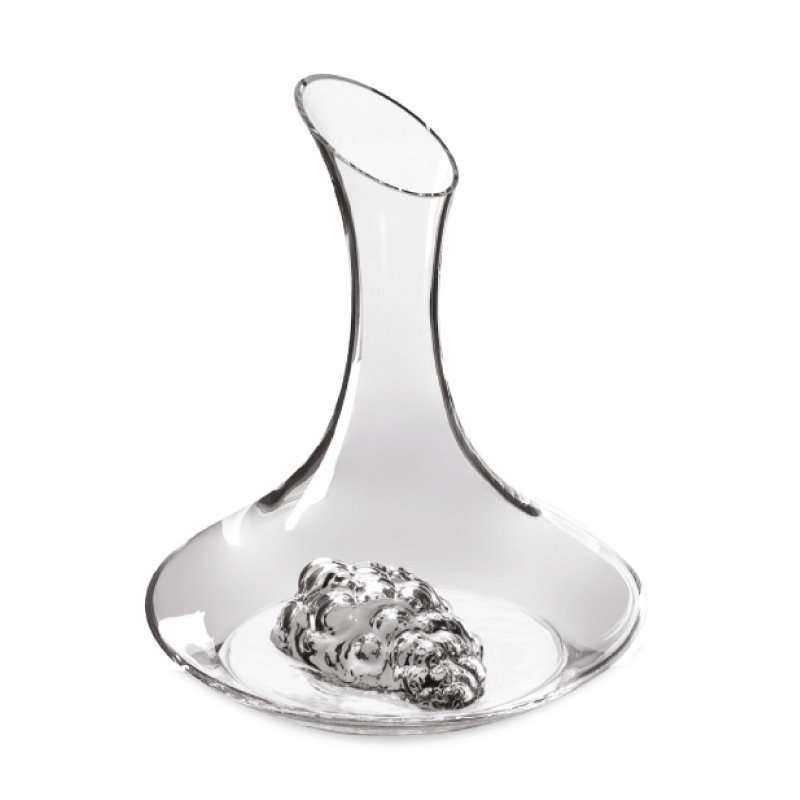 As a tribute to such skill, our glassmakers have sought to emulate the perfect bunch of grapes in the design of the Cuveé Prestige Decanter. Putting aesthetic considerations to one side, there’s a practical aspect too. For as your wine tumbles over the irregular surface of the base relief, aeration is induced, allow the wine to breath more freely as you decant. 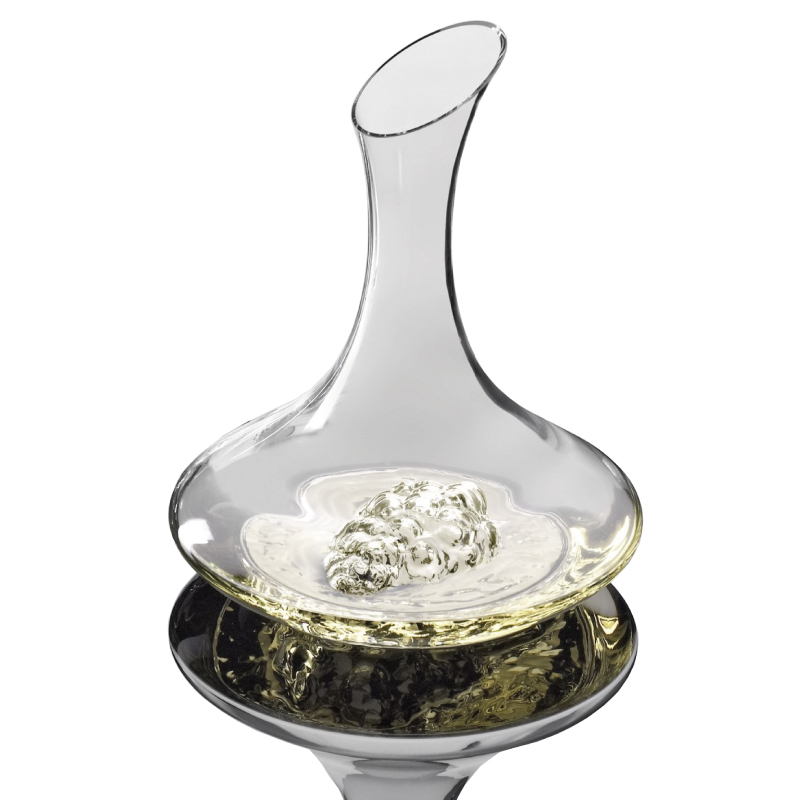 A generous mouth for ease of pouring and a broad belly complete this fine crystal decanter of which we are justly proud.